Are you looking to convert your parents or grandparents black and white photo to color? If Yes, then you are at right place as today I am going to Share How you can Convert Black and White Photo to Color. In Earlier days, there were Cameras that can click only Black & White Photos. You might have old black and white photos of your parents and if you are eager to convert that photo into a beautiful colorful image, then you can try these methods. These days, there are many Best Themes for Android that you can use but most of us keep our Picture as Wallpaper. So, why not to keep our old picture as Wallpaper? Grayscale image as Wallpaper or you can also convert it into color. The Best part about these sites is, you can not only convert Black and White to Color but also Convert Color to Black and White Image. If you go to your nearby photo studio, they will charge a huge amount to Transfer Black and White Image into Color. So, why not to learn Converting Black and White into Color yourself? Nowadays, there are many Online Tools and Apps using which you can easily Colorize Black and White Photo in just one click. Here, I am going to Share the Best and easiest methods and tools that will help you converting Monochrome Image into Color. So, without wasting more time, let’s proceed further and check out 3 Methods on How to Convert Black and White Photo to Color. 1 How to Convert Black and White Photo to Color? 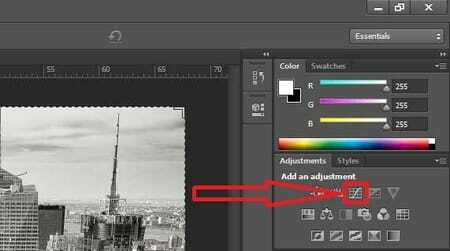 1.1 How to Convert Black and White Photo to Color Online? 1.2 How to Colorize Black and White Photo Using Photo Editing Software? 1.3 How to Colorize Black and White Photo On Smartphones? How to Convert Black and White Photo to Color? How to Convert Black and White Photo to Color Online? If you are looking to convert Black and White Photo to Color, there are tons of Online Tools available that can help you with this. Here I am going to share top tools and methods on How to Colorize Black and White Photo Online. 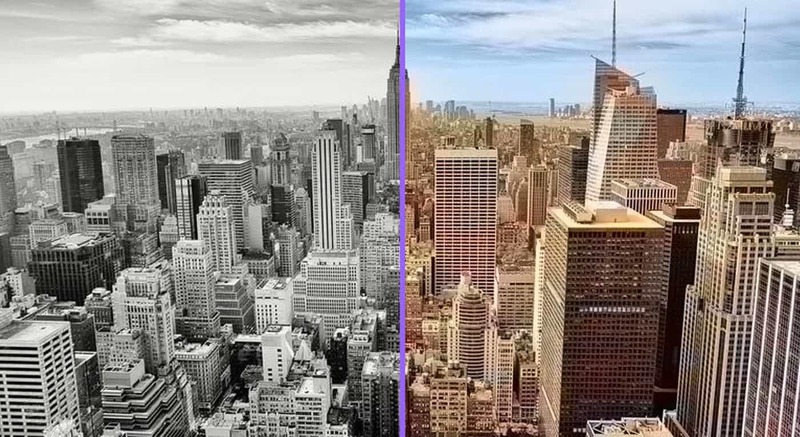 Colorize it or Algorithmia is one of the most popular Online tool to Convert Black and White Photos into Color. If you want the simplest way to add color to a black and white photo, then you must use this tool. If you don’t know coding, then you can use this tool to colorize black and white photo without coding. There are 2 ways to colorize the Photo; By Direct Uploading the Image or by Entering the URL of Black and White Photo. In this method, I am going to Upload and Colorize the Photo. Now, Either Enter the URL of Black and White Image or Upload any Black and White Image from your PC. In this Case, I’m going to Upload an Image. Browse the Black and White Image you want to Colorize. Now, Wait for few seconds until your photo is colorized. Once the Photo is Colorized, you can Drag the Center line to reveal the before and after image. Finally, Click on Download Colorized Image Button. Done! Your Black and White Image has been Colorized. 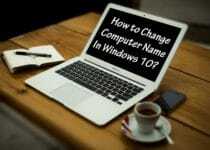 Apart from Uploading and Converting, you can also Convert Image from URL. Another Best tool to Transfer Black and White Photo to Color Online is Colorize Photo Tool. Like other Online Converter Tools, this tool also works similarly. You can upload any Black and White Photo and it will give you the Colored Photo. Now, Click On Open Button from Top Left Corner. Select the Black & White Image you want to Colorize. 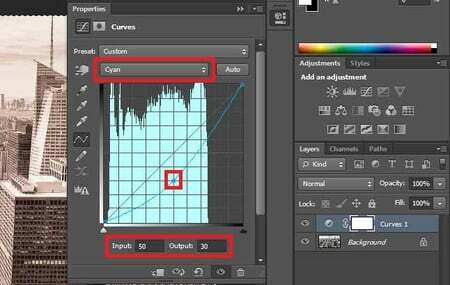 Once the Image Loads, Select the Brush Size, Opacity & Hardness of the Brush from the right side. Now, Swipe your Brush and move over the Image. It will reveal all the colored areas as you swipe. Finally, Click On Save Button from Top Left Corner & Save your Colored Image. Done! Your Black & White Image is now converted into Colorful Image. LunaPic is basically a Photo Editor Tool Online where you can Edit your Photos just like Photoshop. Apart from Editing Photos, it also supports Converting B&W Image into Colored one. So, How to use this tool to automatically colorize black and white photos online? Here is the step by step guide. Now, Click on Upload Button from Top Left Corner & then Click on Choose File Button. Select the Black & White Photo from your PC you want to colorize. You can also adjust the Opacity and other settings. Done! Your Black and White Image has been colored. Apart from this, there are many other Filters as well where you can Convert Color Photo into Black and White, Convert Photo into Drawing Effect and many more. How to Colorize Black and White Photo Using Photo Editing Software? When it comes to Colorize Grayscale Photo, then Photo Editing Software comes first in the mind. Photo Editing Tools are best for Colorizing Black and White Photos, Converting Color to Black and White and adding many Filters to the Photo. There are tons of Photo Editing Apps and Softwares using which you can Convert Black and White to Color Image but here I am going to use Popular tools out of them. Photoshop is one of the Best and Professional Photo Editing Software that you can use to Colorize Black and White Photo. There are many different ways on Photoshop to Colorize Black and Photo and below is one of them. Open Photoshop Software & Load the Image you want to Colorize. Once the image is loaded, Click on Image > Mode > CMYK Color. Now you will get a confirmation message, Just click on OK.
From the CMYK Dropdown, Select Cyan. Now Adjust the Curve and set the Input Value as 50 and Output Value as 30. Next, Do for others; Magenta, Yellow from Dropdown & Adjust the Curve. You can also Adjust Color Saturation, Brightness and Contrast to make Picture look more beautiful. Finally, Select the Layer Mask and Use the Brush Tool. GIMP is a free and open-source graphics editor used for Image Editing, Retouching, Converting File Format, etc. You can use this Tool to Convert Grayscale Image to Color Image. If you have a Basic Editing Skill, you can easily Convert any Black and White Image to Color Image. Also, you can add any colors according to your needs. You can say this is a Photoshop Alternative Software. If you are unable to Open PSD File, then you can try GIMP Software and it works really well in editing photos and also in Colorizing Photo. How to Colorize Black and White Photo On Smartphones? When it comes on Colorizing Black & White Photos on Smartphones, it becomes pretty easy, thanks to the Android & iOS Apps. There are tons of Photo Editing Apps that can help you in Coloring Old Black and White Photos. You can use Photo Editing Apps to Color the Photo according to you. 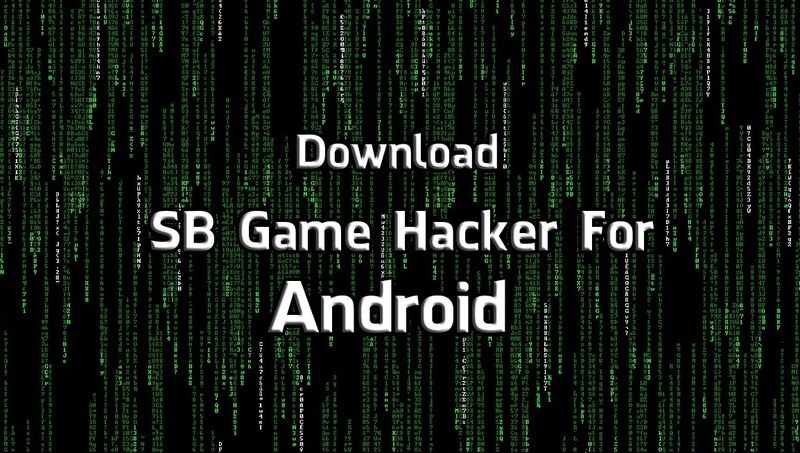 Also, there are many other Apps as well where you just have to Upload the Image and it will automatically convert that Photo in just a single click. Smartphones comes with tons of customization options like Notification Bar, Wallpaper, Lock Screen, etc. 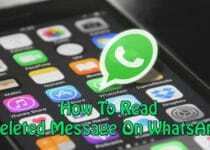 You can easily Customize many things on Smartphones and when it comes to Color Black and White Photos, you can do that as well with the help of Apps. So, if you don’t have Photoshop and want to colorize photo, then these are the App to Convert Black and White Photo to Color and you can easily Convert Black and White Photo Without Photoshop. PicsArt is one of the most popular and Best Photo Editing Apps for Android & iOS. With this App, you can Edit Photos, Create Collage, Beautify your Photo and yes Convert Black and White to Color Image. The App is free to use and if you have basic editing knowledge, you can manually colorize photos easily. You have to Manually Add Colors to the Black and White Images and make it colorful. Are you looking for an Automatic Process that can Convert your Black and White Photos into Color in just one click? If Yes, then PolyChrome App is for you. The App uses machine learning that can automatically color black and white photos into Colorful Image. Converting Black and White to Color Image is simple. You just have to Upload any Black and White Image and then Click on Scan. Within few minutes, the App will automatically color the image and give you the result. This was the 3 Methods On How to Convert Black and White Photo to Color. 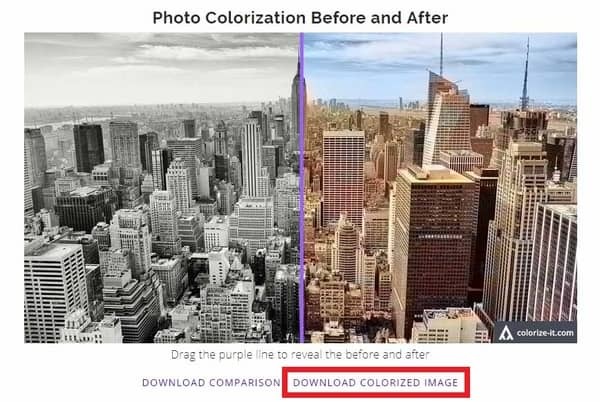 Personally, I prefer the first method where you just have to upload the Black and White Image and the site will automatically colorize the photo for you. Apart from this, there are many other methods and Colorizing Tools available that can help you in coloring photos. So, If you were having doubt of Is Converting Black and White Photo to Color Possible, hope you have got your answer. You can use any of these methods to Convert Image from Black and White to Color. Hope you liked this Article On Convert Black and White Photo to Color. Do you know any alternate method for colorizing image? Do let us know via Comment. Stay tuned with us for more latest Tricks & Updates.